It all began with tarot cards. I bought my first deck of tarot cards at the age of 18 while working on my undergrad in Social Work at University of Wisconsin – Madison, USA. I remember that I loved the feeling I had when I read the cards. A feeling of energy that came over me. It was during the time that I was studying for my Masters in Social Work 10 years later that I felt drawn by an unknown force to Dizengoff Mall in Tel Aviv, to a specific store, to a specific corner where I saw another deck of tarot cards. I did not plan to buy a new deck of cards and they were very expensive but I knew that I had to have them. They have been a personal helper ever since. After birth of my first son I gave up my dream of being a social worker for the necessity of money and worked in a top administrative positions . I was very good at my job but I always felt that I was challenging my mind but not working from my heart. I knew that one day, by the age of 40, I would go back to working with my heart. In the meantime I continued here and there to play with the tarot cards. My reading method changed. I was getting better at reading and comprehending them and I noticed that the predictions were coming true. 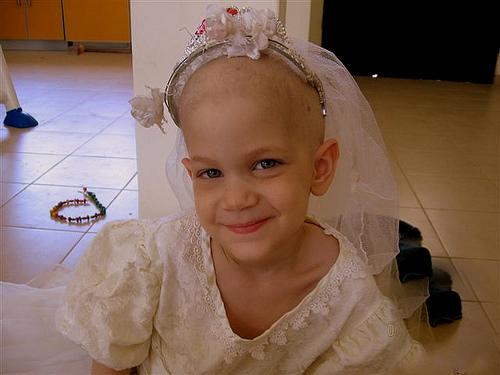 In 2005 my 2.5 yr old girl Ayala (my second child) was diagnosed with a rare cancer, Neroblastoma. I left my work and started a new career – one of taking care of a cancer patient full time. I would not call it a horrible time in my life because saw beauty and had fun whenever possible which was almost all the time. It was a interesting experience and a challenge in my life and that is how it remains in my mind. I learned so much from about myself and life, and for that I am grateful. A year into the treatment, after returning from special treatments in Vienna Austria, I felt that I was being pulled (just like when I bought the new deck of cards) toward going to a specific healer. In initial first meeting with the healer, without Ayala, the healer cleansed me so that I could perform Laying on of Hands healing each night on my daughter. The healer said the strongest healing energy is that of the mother. During this cleansing process, as I lay on my back with my eyes closed, “I saw the Light”. I mean I really “saw the Light”, the saying is true. And then, it all made sense. Now please understand I was an atheist married to a kibbutz born man who was anti-religious. The idea of God and religion were looked down upon in our household. I was very worried how my new understanding and acceptance of a “God” would affect my life. Every night when I laid on my hands to heal my daughter in her sleep I felt different sensations. I had the sensation that a big tube would attach itself to my head and energy would stream down from the sky into my head. I felt the need to move my hands in one direction or another. When I relay to the healer my actions and ask her what I was doing, she would give me an therapeutic explanation for every movement. I also started to see things while I was in the meditation state at night, to hear things, to see my grandmother (May her memory be a blessing) and different angels giving me advice and telling me all will be well. It is very strange and uncomfortable hearing things while at the same time exhilarating. Thank goodness I was attending therapy at this time and my therapist calmed me by saying that I was not going crazy. It wasn’t that she believed me. She had some psychological explanation to what was experiencing. After three months of healing treatment I felt my daughter to be clean spiritually. We ending the healing treatment and continued the medical treatment until we finished the protocol for her cancer. She was not completely clean but there was nothing else to do at the moment. She was classified as chronic. It was time to get back to our lives. Ayala went back to preschool and I was planning to go back to work. Almost two years had passed and my old work didn’t have a place for me. I started looking for another administrative position but it felt wrong. During this whole fight with the cancer I avoided predictions about Ayala’s future so not to be swayed. I believed that she would survive and would not allow anyone to tell me different. Whenever every time I asked my spiritual guides whether Ayala will live I would receive the message that “everything will be okay”. On the 2nd of Feb (the new year day for Wicca) I asked my girlfriend to give me a reading using tarot cards. I was tired of living in ambivalence and wanted assistance at least with regards to my work. The tarot reading said that I needed to work as a spiritual healer. It was very hard for me to accept this as we needed money and my husband is a non-believer who thinks all spiritual people are out to steal your money. But I decided to go for it. By chance, but of course there is no such thing as “chance”, the next morning I saw an advertisement in the local paper for a three day course in Theta Healing and signed up. It was a sign. Nine days later my daughter did not wake up in the morning. She passed away in her bed. I accepted and understood. I celebrated the fact that she had moved to the Light where it is good. Right after Ayala passed away I would not channel her spirit because I needed the time to separate from her. However, after the Jewish 30 day mourning period, I asked her spirit why she moved to the Light right when I was getting the power to heal her and she told me that she was not meant to be healed. Her spirit had one more lesson to learn. A short lesson, a “weekend course”. If I tried to heal her I would fail and then stop working as a healer and that would be wrong. She picked me as her mother because she knew I would be able to handle her illness and death and to give me a present. To lead me back to my true calling, a path from which I had strayed, to heal others. My decision to become an independent psychic has been difficult for those around me who believe that it would be better for me to work as an administrative assistant. However I decided I would not let Ayala’s presence in our lives be in vain. I would be a healer like she led me to be. A year and two weeks after Ayala’s death my son Naor was born. My 39 year old birthday present. One circle ended and another began. Together with Ayala’s spirit I work as a psychic therapist with amazing results. I went back to my social work roots and am working from the heart. I work with emotional / psychological issues rather than medical ones. I also have the understanding that I am meant to teach others. I started teaching using tarot cards, my first love, and know it seems that I am moving on to another form, the blog. In the end the spirits were right, everything is okay. Actually, everything is great. Thank you for sharing your story. I also feel the tube of energy come through my crown and down my body to my hands, heart, etc. I’m learning how to open portals for the energy so that it doesn’t have to pass through my body, too. Blessings to you and your family; I am a great admirer of your special calling with unborn children. I think your post should be read by anyone who ever lost a close person. I have never met somebody who would talk about a loss of a child with such a serenity and acceptance. You wrote you were not a religious person – nor am I, yet I believe in very single word about the spirit and connection to your daughter. This is one of the best blogs I have ever read. thank you for that. I am so touched and humbled by your words. Thank you. Previous Previous post: Medium vs. Psychic – What is the difference?